A joint DEA/Justice Department death squeeze against narcobaron Don Jorge Luis Samosa is under way. starting with the indictment of high-level officials on the Don's payroll, followed by the launch of state-of-the-art interdiction vessels to stem the flow of drugs into the U.S.
Mack Bolan is tasked with escorting the star witness, Samosa's longtime lover, across the border into the States. But the mission goes sour when the Don's soldiers abduct the woman's two sons as pawns. On the hostile, sun-baked Mexican coast, Bolan's campaign to destroy the cartel's local arm and rescue the young hostages becomes the opening salvo in one of the most crucial battles in DEA history. 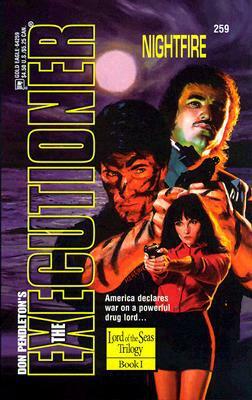 The drug lord's days are numbered... and the Executioner has started the countdown.